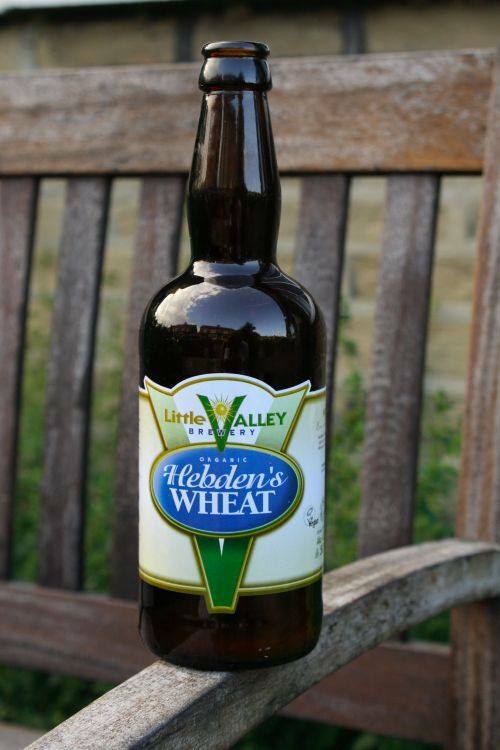 Hebden’s Wheat is a light and lively wheat beer from the Little Valley Brewery in Hebden Bridge. The beer is bottle conditioned, with a distinct lemon taste, tinged with coriander. It goes perfectly with a curry or other spicy food. Little Valley’s beers are organic, certified by the Soil Association and overseen by the brewery’s owner, Wim van der Spek, a Dutch born, Bavarian trained master brewer. Little Valley’s range covers an IPA, bitter, stout, blonde as well as this quite superb wheat beer. More soon, but a great start.